Hvar Island is one of Croatia's most luxurious and sunniest. They have many beaches and outdoor cafes to enjoy the warm weather. People come to party on the island, but you can also rest, relax and enjoy the local food and wine. 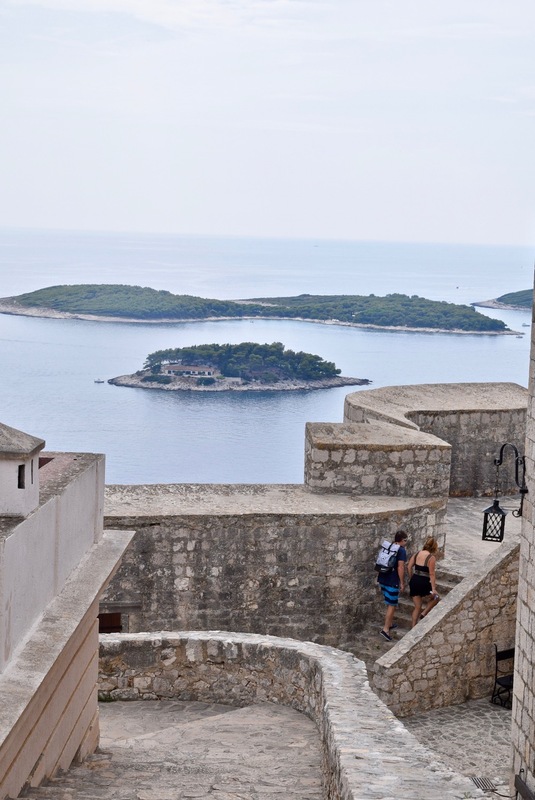 You can start your tour of Hvar by wandering around St. Stephen's Square and checking out the the 12th Century Madonna in the Cathedral of St. Stephen. If you want to get your heart pumping, take the stairs past the main city gate and make the steep climb to the Spagnola Fortress. You'll be rewarded with panoramic views of the town and harbor once on top. 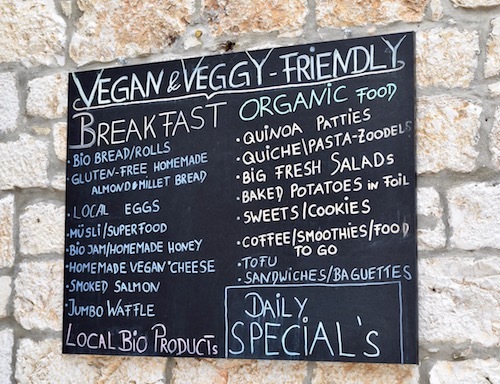 After taking in the view, return to Hvar Town and grab a bite or drink at one of the many waterfront cafes. Or, you can escape some of the cruise crowds, by grabbing a taxi to the Old Town, Stari Grad, about 30 minutes away. On the drive over, you can get a feel for the vegetation growing throughout Hvar, including lavender, olives and grapes. 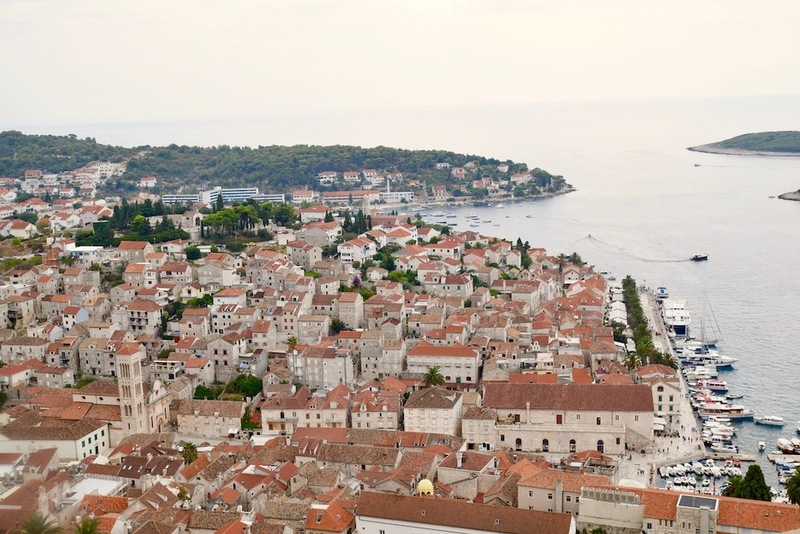 Stari Grad is the oldest town in Hvar, dating back to 384 BC when Greek colonizers arrived. Meandering cobblestone streets include small arts and crafts shops, as well as many restaurants and cafes to pop in for a drink. We were in Stari Grad during a boat race so we had a great view of colorful sails and boats of all sizes. Old Town Hvar is also a good place to pick up some of the island's homegrown lavender. Olive oil is also freshly pressed on the island, making for a good gift. You can also find local lace being produced in Hvar as well. Expect a lot of seafood in Hvar. They're an island after all. You'll also see use of their local spices and the simple vegetables they grow. 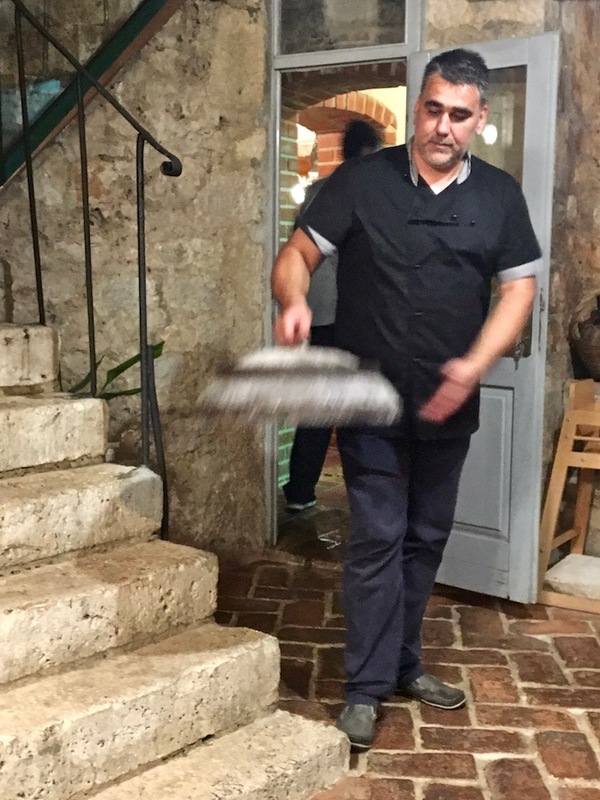 I enjoyed some "under the bell" cooking in Stari Grad. Not a term I had used or heard before. I equate it to using a slow cooker. They place the protein on an open fire and cover it with a large, domed lid and allow it to gently cook for up to three hours. Meat and octopus benefit most from this cooking method, but vegetables and potatoes can also be thrown in for a full meal. Thanks to the early Greek and Venetian influence, not to mention steep, terraced hills and strong winds, the island of Hvar has a strong wine growing business. The celebrated dry white wine, Bogdanusa, is a perfect companion for a warm summer night. 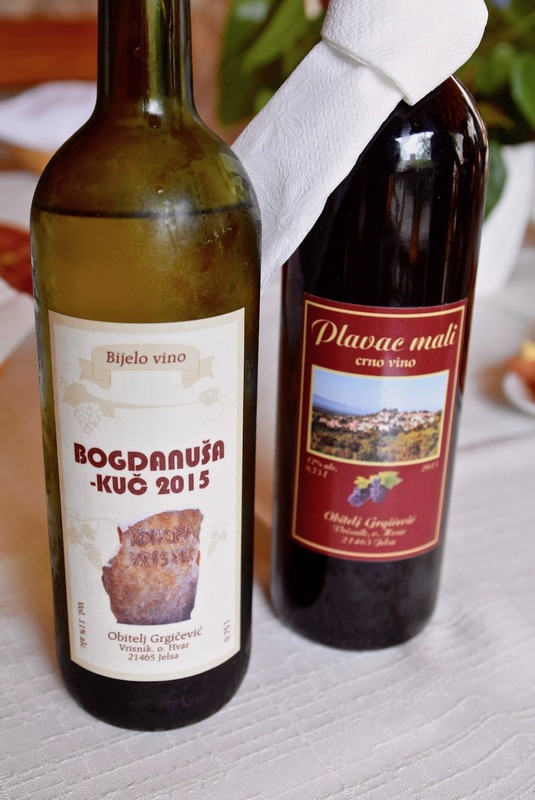 Plavac Mali is Croatia's most well known grape varietal. Genetic testing was done on Plavac Mali to reveal that it's closely linked to the Zinfandel grape. Many believe Croatia was the birthplace of Zinfandel, not Italy. Expect a bigger wine with higher alcohol that could handle some aging. 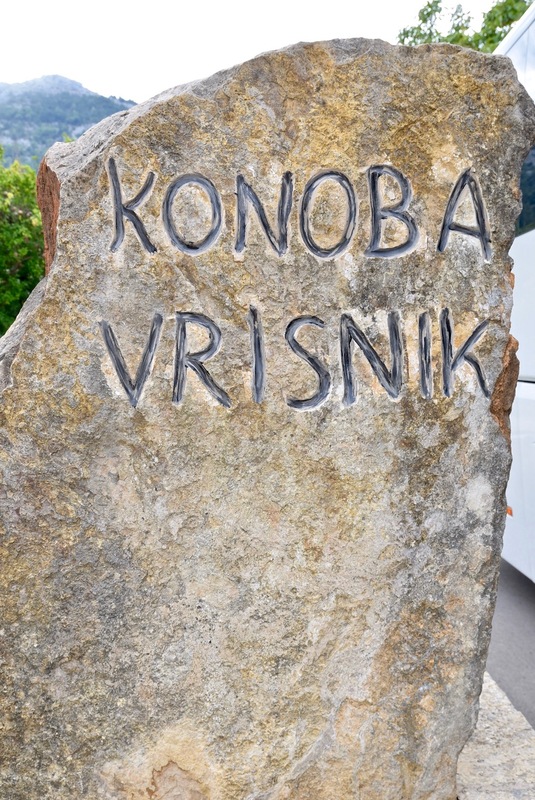 There are several spots to duck into to sample the local wine like Konoba in Vrisnik, one of the wine areas on Hvar. Or you can try DiVino for a full restaurant experience on the water.